Can’t reach your website or email? We take unauthorized attempts to email and websites seriously and have tight firewall rules in place to keep your site and email safe! When you have made repeated attempts to login to email or Cpanel with an incorrect login, you can trigger our server firewall and be blocked on the server. If this has happened, you won’t be able to access your website or email. We can help you get unblocked, you need to complete the unblock request form here. 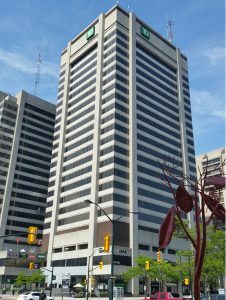 We are located at the corner of King Street and Wellington, on the 6th floor of City Centre Mall (in TD Tower ‘B’ building). While we are generally unavailable for drop in meetings, we are happy to schedule an appointment to meet with you if needed. Please get in touch. If you wish to drop off a payment to us, please place in an envelope and hand it to our reception staff on the 6th floor (reception desk is right as you get off elevators).